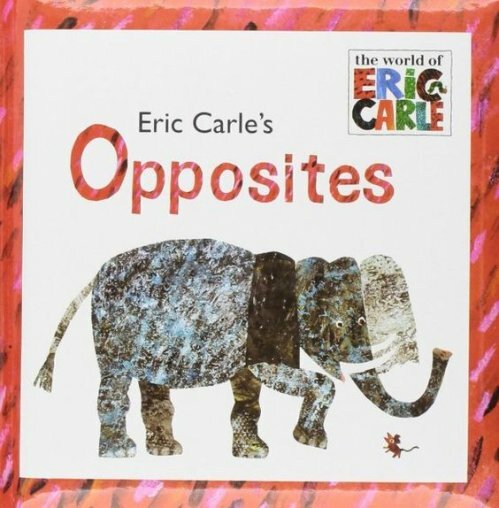 Eric Carle’s Opposites teaches the concept of antonyms to young children using single words along with his unique illustrations. Children will learn about a range of opposites, including wet and dry, high and low, short and long. Each pair of opposites is divided with a flap. These flip-up pages are perfect for engaging young listeners as they love flipping the pages to discover what the opposites will be. Although this book is very simple, it can easily be extended by asking children to think of their own opposites and even making their own Opposites flip-up book. For further speech and language targets in Eric Carle’s Opposites, see the list below.